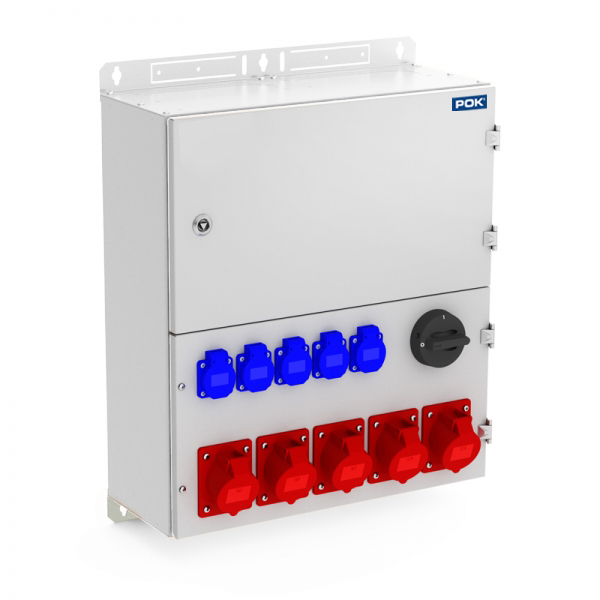 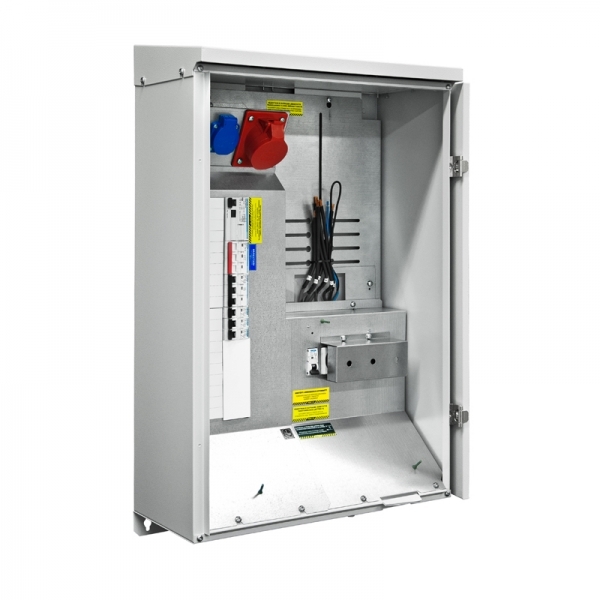 The OMA outdoor metering centres are suitable for use as a main and metering centre in small properties and for electricity distribution during construction. 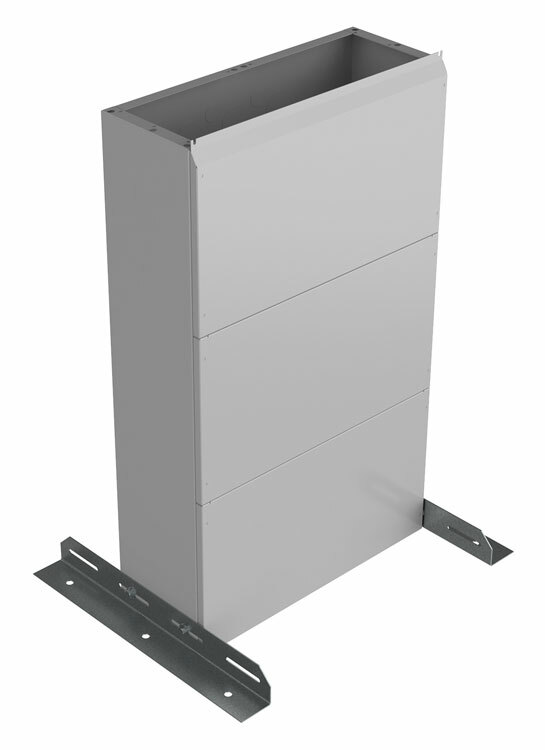 The centres are made of hot galvanised steel plate that, together with the right design, guarantees a sturdy and safe structure and good usability. 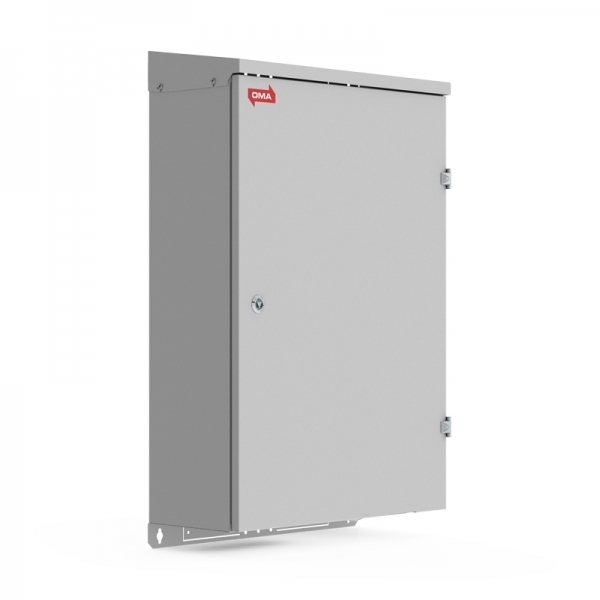 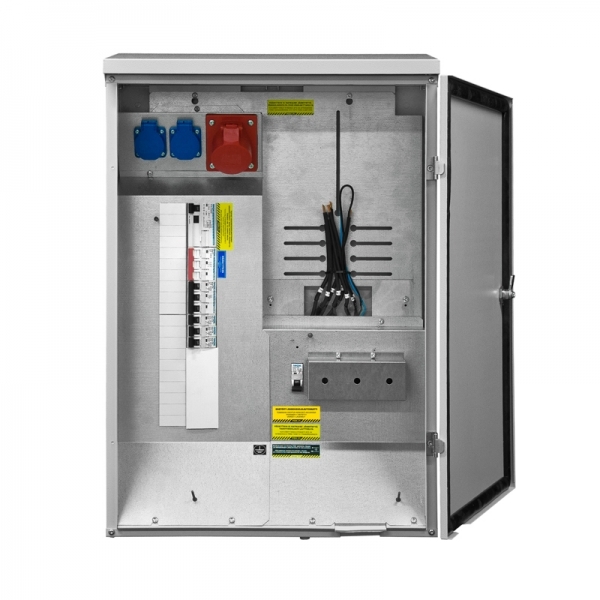 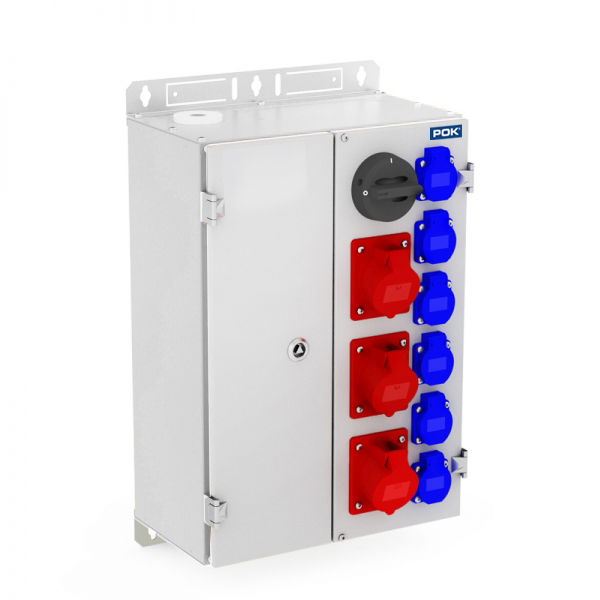 The delivery includes a sealing cover for the main fuse, a tariff control fuse, the necessary feed-through holes, Al/cu connectors for supply and a rain shelter. 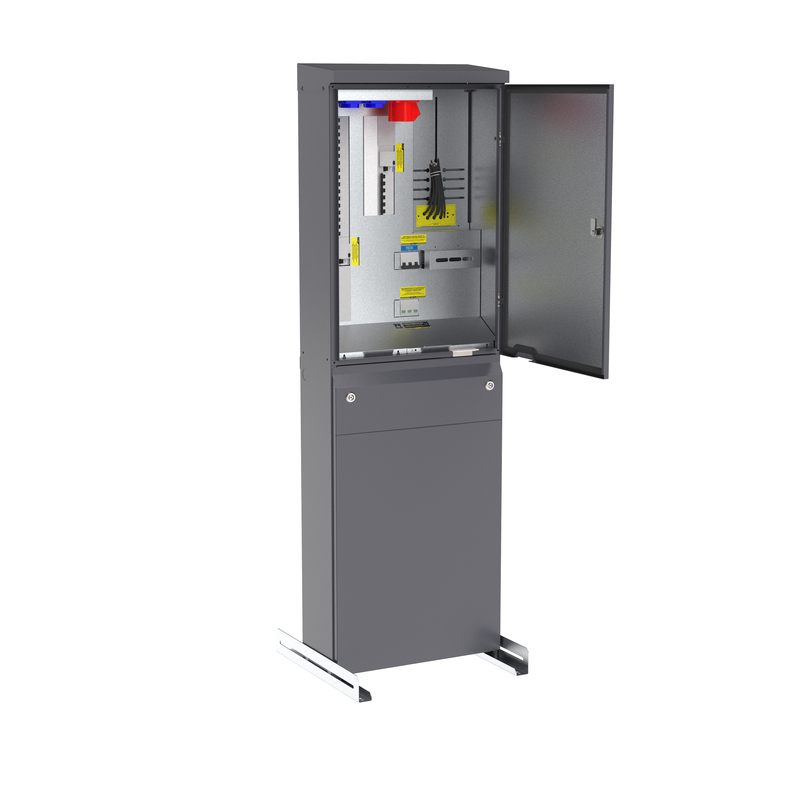 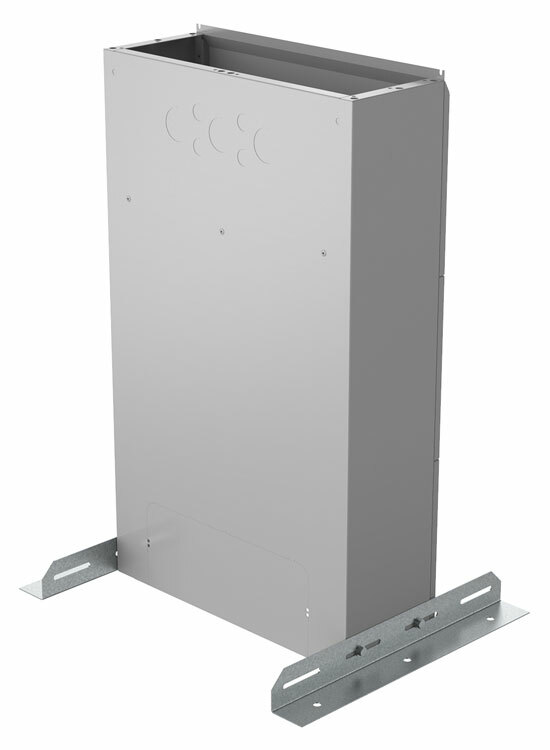 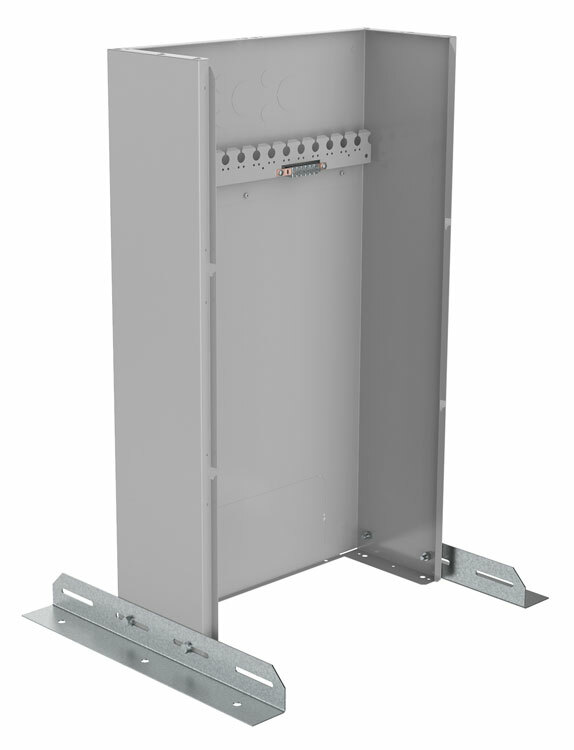 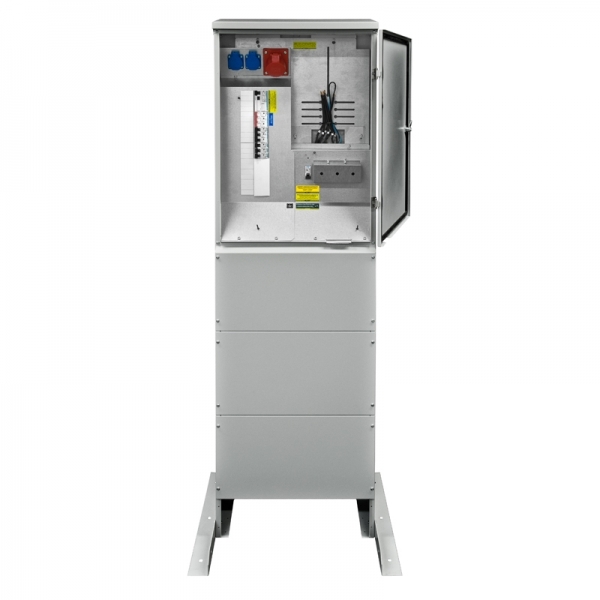 The centres can be installed as needed, on the wall, in a column or on an optional stand. 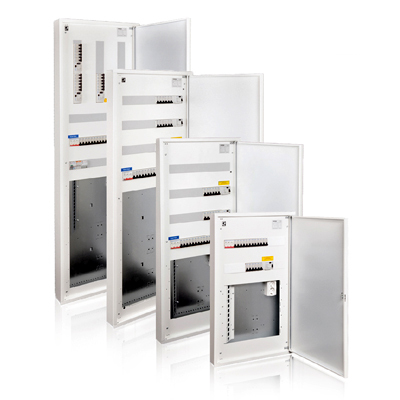 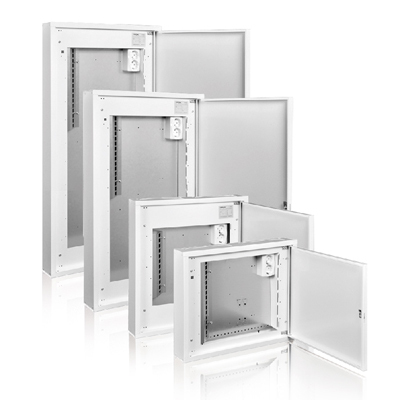 The centres are suitable for both surface and flush mounting (for flush mounting we recommend a flush frame). 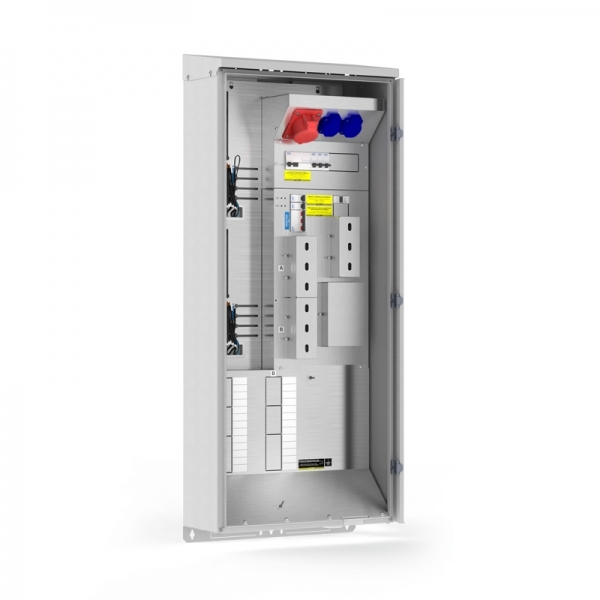 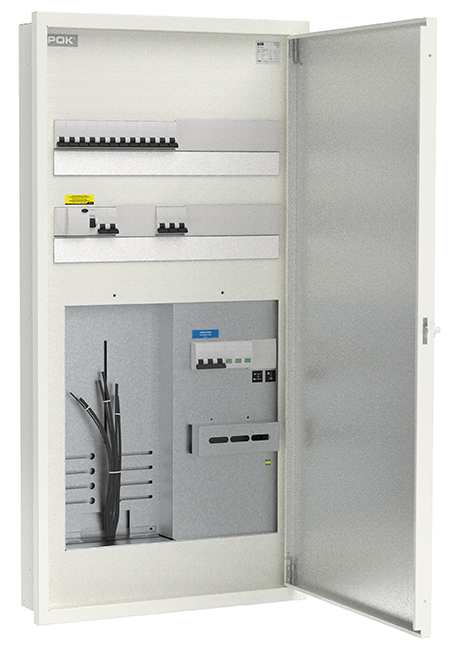 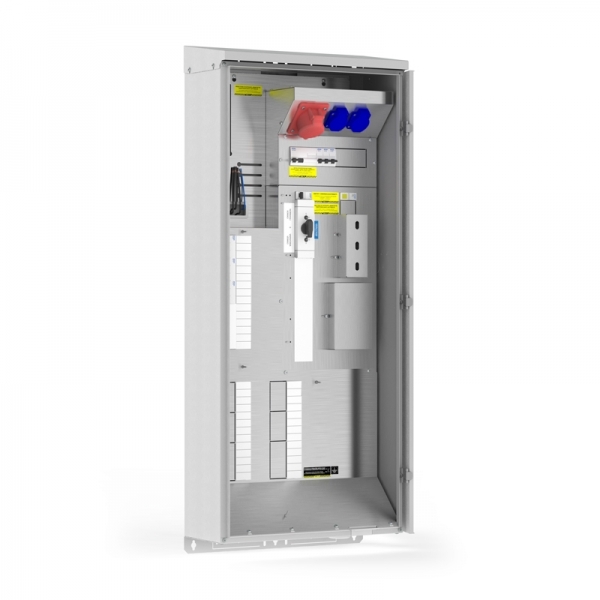 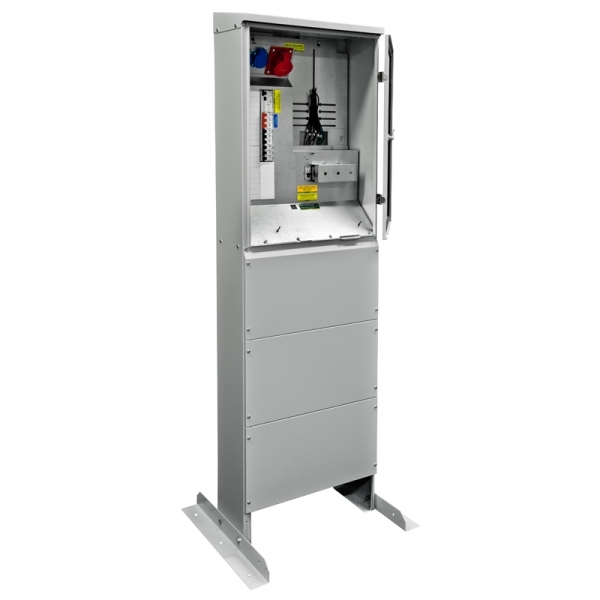 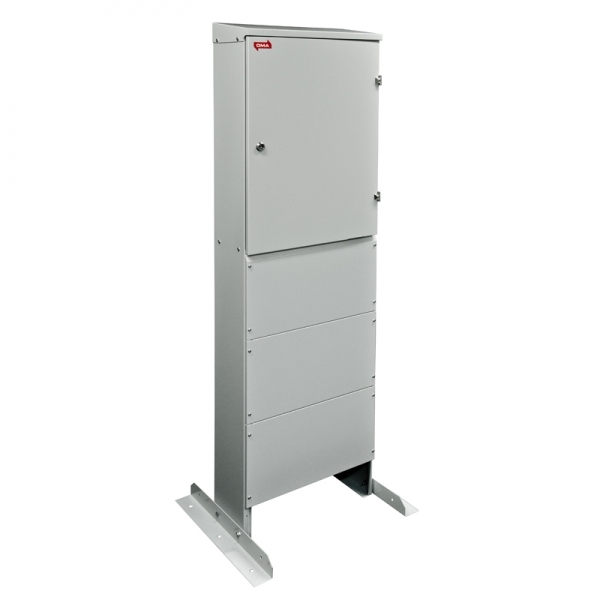 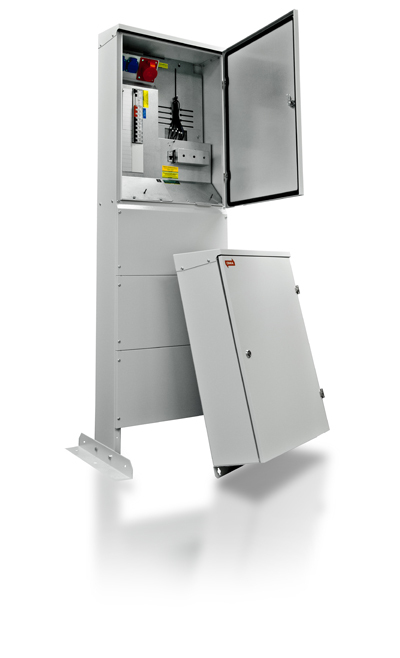 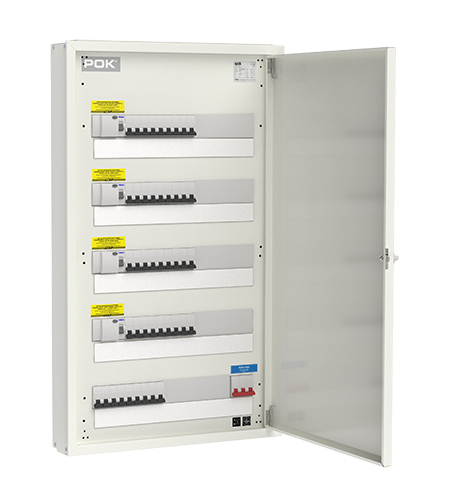 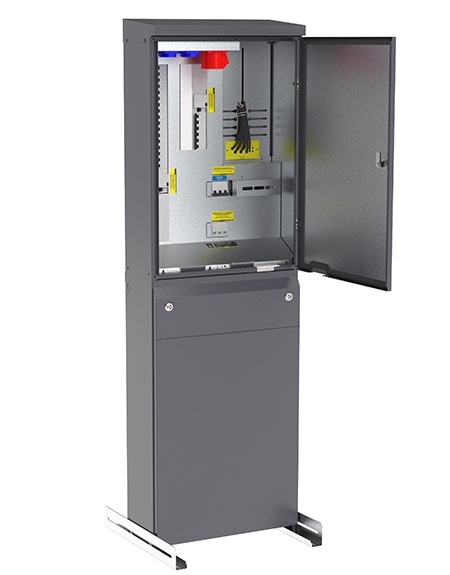 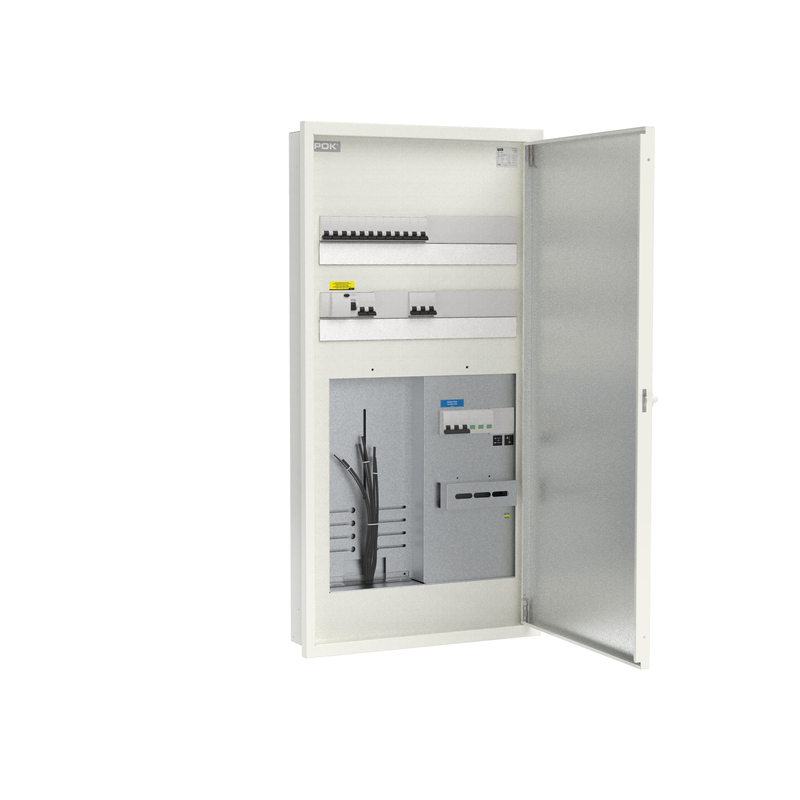 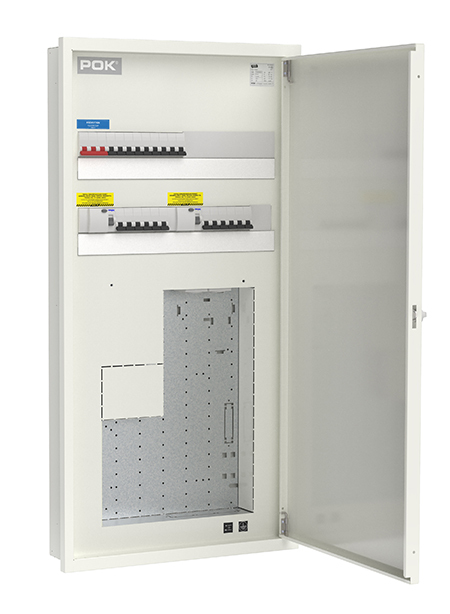 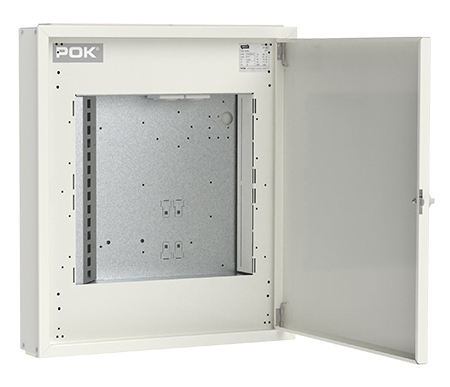 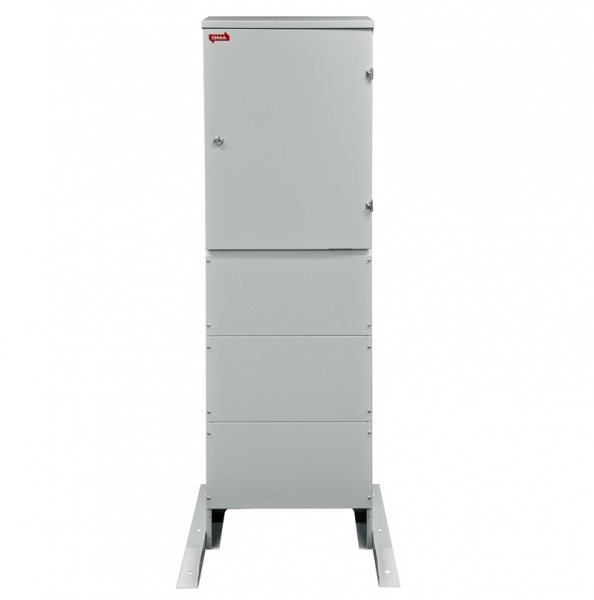 The same cabinet structure is also equipped with new reserve power centres!